RusVinyl is planning to start the production of a new emulsion PVC grade – 367NK -, which is used in the production of vinyl wallpaper. Apart from the wallpaper segment the 367NK grade is used in the production of the artificial leather, as it possesses the necessary key parameters of whiteness and the foam structure. Quite low viscosity is typical for the high quality 367NK, which favors to more convenience in application of the coating over the padding. 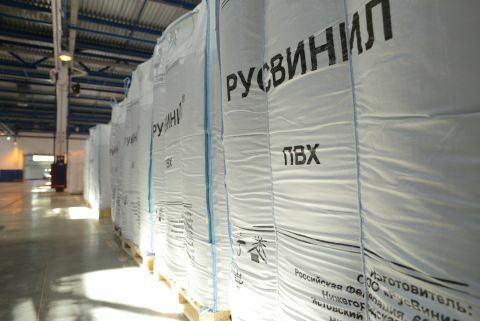 The trial batch of the 367NK in the amount of 450 tons was produced at RusVinyl in summer this year. The analysis in the RusVinyl production and analytical laboratory has shown that the quality parameters of the trial batch are within the target values. Apart from the “home” tests the new material was tested directly at the production facilities of the potential customers which are the Russian vinyl wallpaper segment operators. “The idea to produce a new grade of emulsion PVC – 367NK – is related with the intention of the company to expand the grade mix and reinforce its positions at the Russian market in the segment of the vinyl wallpaper production, which has been actively developing in the recent years. Until last year there were around 20 vinyl wallpaper production lines operating in Russia, and now additional 10 lines are being installed or imported into the country. We see that this grade has a high potential and we consider this grade will be well demanded by our clients”, - the CEO of the company Guenther Nadolny commented on the project. Besides the four suspension grades, which are mainly used to produce rigid profiles, film and pipes the product mix of the company includes three emulsion PVC grades, applicable for the flooring production. RusVinyl plans to start the commercial production of the new grade next year.